The first ever Cotton Clouds Festival took place in Oldham on August 12, featuring performances by Nick Heywood, The Coral and headline act The Sugarhill Gang. The first ever Cotton Clouds Festival took place at Saddleworth Cricket Club in Oldham on August 12, featuring performances by a mix of local bands such as PINS, The Sundowners and The Blinders to name a few, as well as veterans acts such as Nick Heywood, The Coral and headline act The Sugarhill Gang. 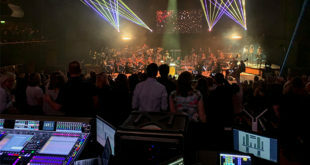 The choice of loudspeaker for the successful inaugural event was Martin Audio’s MLA Compact, which flown left and right of the stage with a further four mounted on the MLX subwoofers, providing frontfill. 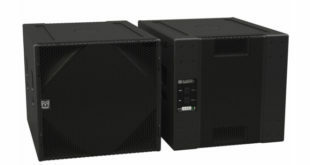 A total of 11 MLX subwoofers were deployed in an asymmetrical broadside array — nine wide with two reversed to provide cancellation on stage. 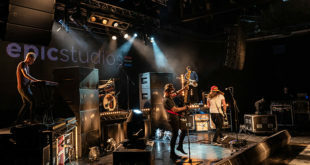 The system was supplied by VME, which provided full production for the event and Oliver Fallon, technical manager of Cotton Clouds and VME sound engineer said that "there was no better system to do the job".